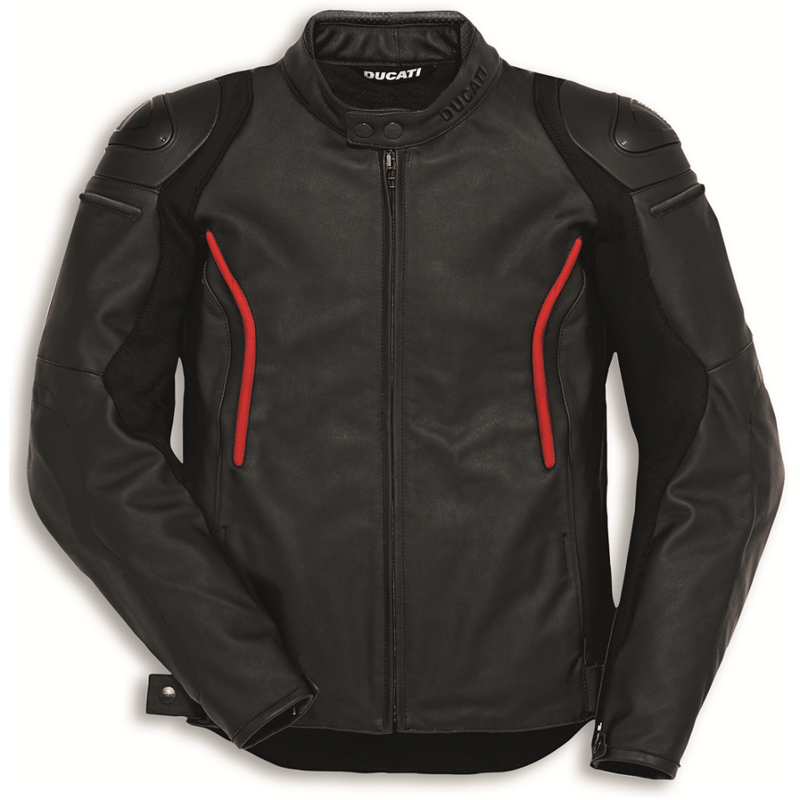 Produced by Dainese for Ducati, in men's and women's version, the Stealth C2 jacket is created in elasticated New Comfort Moto cowhide, comfortable and durable thanks to special greases that lubricate the fibres during the tanning process. The modern and aggressive design marries with the aluminium protectors on the shoulders and the red details that recall its Ducati DNA. Stealth C2 is CE certified and suitable for use with a back protector and Chest Double protector (men's version only). Equipped with a zip for trousers attachments, it can be combined with any trousers in the Ducati collection.